Home Elections Zambia Update: What was the purpose of Lungu’s cabinet reshuffle? Zambia Update: What was the purpose of Lungu’s cabinet reshuffle? Sishuwa Sishuwa catches us up with recent events in Zambia, and considers the latest cabinet reshuffle. Why was the Minister of Finance replaced, and what does this tell us about the direction the Zambian government is likely to take in the future? What explains President Edgar Lungu’s decision to reshuffle his cabinet on 14 February 2018? High-profile changes were announced, including the removal of Felix Mutati as Minister of Finance and the appointment of Margaret Mwanakatwe, previously Minister of Commerce, Trade and Industry, as his replacement. 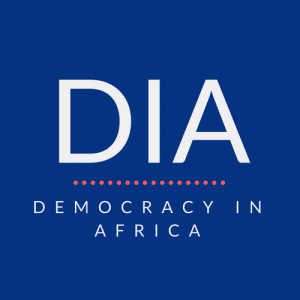 Another was the elevation of Dora Siliya, formerly Minister of Agriculture, to the position of Minister of Information and Broadcasting Services. As Chief Government Spokesperson, Siliya replaces Kampamba Mulenga who has been shunted to the Ministry of Fisheries and Livestock. Lloyd Mulenga Kaziya, the Minister of Water Development, Sanitation and Environmental Protection, earned the dubious distinction of being the only cabinet member sacked in the reshuffle. As per usual, Lungu did not provide any explanation for the shake-up of his cabinet, though his spokesperson, Amos Chanda, subsequently claimed that the changes ‘were meant to re-energise the government’. Given that many Zambians feel ministers in key positions are simply not up to the job or are using their public service as an opportunity to enrich themselves, public expectations for the dismissal of many cabinet figures generally seen as corrupt or incompetent were high. When the reshuffles were announced, however, Lungu disappointed: he kept ministers accused of corruption such as Jean Kapata (Lands), Ronald Chitotela (Housing and Infrastructure Development) and Stephen Kampyongo (Home Affairs) in their posts and demoted those who were seen as working effectively such as Mutati to relatively unimportant ministries. 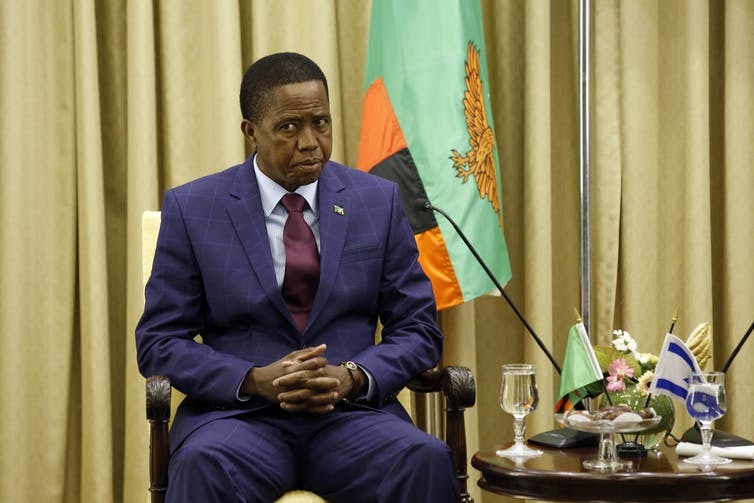 What then was the purpose of Lungu’s cabinet reshuffle? To better understand the response to this question requires examining the individual circumstances of the three high-profile changes. Felix Mutati: Before attempting to explain the possible reasons for Mutati’s dismissal, it is worth noting that his appointment as Minister of Finance resulted not from the possession of an exceptional talent or the right skill-set but from the recognition of the crucial role that he played in forming an alliance between the governing Patriotic Front (PF) and the opposition Movement for Multiparty Democracy (MMD) faction that he leads before the 2016 elections. The 59-year old nominated MP campaigned for Lungu and accepted a position in his cabinet on condition that he was allowed to retain his membership and leadership of the MMD. An ambitious man, Mutati had reasoned that if he managed to save Zambia’s economy, he could then claim credit for that turnaround and launch a presidential bid either on the PF ticket or, in the event of the PF frustrating his ambition, on the MMD’s. Unfortunately for Mutati, Lungu moved against him before his plans could materialise. He (Lungu) did so for two main reasons. First, Mutati’s appointment as Minister of Finance met strong opposition from an influential faction within PF that sees him as an outsider and a potential rival for the national presidency. PF sources revealed that members of this group include Health Minister Chitalu Chilufya, Defence Minister Davies Chama, Siliya, Chitotela, Kampyongo, and one or two presidential aides. It is this faction, which seeks to produce a successor to Lungu from within its own ranks, that recently instigated protests against Mutati by PF cadres, seeking to force him to renounce his MMD membership and join the ruling party, where his ambition could be more easily managed. When this initial plan failed, this group moved to successfully lobby for the removal of Mutati from his ministerial portfolio. His demotion therefore owed more to succession struggles in the PF than to his performance as a minister. If anything, Mutati, as Minister of Finance, seemed quite sensible, and exhibited a calm and steady pair of hands, notwithstanding that he failed to control the government’s extravagance and insatiable appetite for borrowing – though much blame for Zambia’s massive debt should be assigned to Alexander Chikwanda. Many ordinary Zambians were also extremely irritated by Mutati’s constant parroting of the platitudes and clichés of neoliberal economics (appreciated mainly by the foreign investors who he seemingly loved much more than the Zambian workers in whom he revealed no interest whatsoever). Second, and swayed in part by members of the above faction, Lungu is beginning to see Mutati as a major threat to his own hold on power. For some reason, the President is becoming increasingly confident of securing his wish to stand for another term in 2021 and views Mutati, widely seen as imposed on him by former president Rupiah Banda, as a potential rival. PF sources claim that Mutati is also seen in the ruling party circles as a possible running mate to Banda, who, it is said, is growing disenchanted with Lungu and entertaining a final presidential bid in 2021 on the MMD ticket. In shunting Mutati to the relatively unimportant Ministry of Works and Supply, Lungu wishes to exert his authority, consolidate his power, and, potentially, frustrate Mutati into resigning. Mutati however is unlikely to do so. Even in his new portfolio, he oversees a wide array of government contracts and has considerable opportunity for personal enrichment. Margaret Mwanakatwe: Mwanakatwe is one of the several former MMD figures close to ex-president Rupiah Banda who joined the PF after the death of Michael Sata before they were all incorporated into cabinet. The 56-year old former managing director of Barclays Bank Zambia is personally close to President Lungu and remains one of the key power-brokers in government. Unfortunately for her and Lungu, she faces the problem that her parliamentary seat of Lusaka Central has been nullified by the High Court and she remains in Parliament only because of a much-delayed appeal to the Constitutional Court (ConCourt). By placing Mwanakatwe in such a prominent and sensitive position, Lungu is clearly indicating that he will attempt to secure a favourable ruling for her from the ConCourt to avoid the problem of appointing another Finance Minister soon. Lungu would personally benefit from such a judgement by having a key ministry occupied by someone who owes her position entirely to him and will not have the ability to build up an independent power base, as Mutati sought to do. It does not hurt Mwanakatwe that she comes from Eastern Province and like many others in government shares the same ethnic-language group as Lungu. Like many Zambians, however, I am not entirely persuaded by Mwanakatwe’s suitability for her new role and it remains to be seen if she will succeed in brokering the much-delayed deal with the International Monetary Fund (IMF). Amos Chanda’s recent ill-advised swipe at the IMF and his attempts to link Mwanakatwe to his outburst is not reassuring, as it suggests that we probably have a cadre for a Minister of Finance who is out to do the bidding of State House. It also does not help Mwanakatwe that Pamela Kabamba, the seasoned Ministry of Finance Permanent Secretary in charge of budget and economic affairs who could have eased her transition, was moved to Ministry of Home Affairs only a day after Mwanakatwe’s arrival. Dora Siliya: As well as Mwanakatwe, 47-year old Siliya is another ex-MMD figure promoted to a position of greater prominence. The Cambridge-educated Petauke Central MP has been rewarded for her disastrous tenure at the Ministry of Agriculture by a promotion to the key position of Minister of Information. She was a confidante of former president Rupiah Banda and is close to Lungu as well. She can be relied upon to defend Lungu in the most sycophantic manner possible and this is what earned her the job. A few hours after her latest appointment, Siliya was already at ‘work’, defending the President’s recent quip ‘ubomba mwibala alya mwibala’, an indefensible remark that effectively encourages the pilfering of public resources, as Lungu’s unique way of ‘cautioning public workers against corruption’! The nation’s farmers will be staggered that she is still employed in cabinet. Her lack of concern about their plight was breathtaking. In one notorious incident, while farmers were pleading for an effective response to the devastating armyworms that threatened to wipe out their crops, she was seen enjoying herself in the company of Mike Tyson several thousand kilometres away in New York. Her new position under the Ministry of Information will boost her public profile as she regards herself, probably unknown to Lungu, as a future presidential candidate. Her greater visibility as effectively the public face of the PF government will rankle with the ruling party’s rank and file, many of whom will never forgive her for publicly insulting late president Sata when he was still in opposition. There were other ministerial changes beyond the aforementioned but the individuals affected are instantly forgettable non-entities, politically speaking, whose main claim to national attention was that they were swapped or dismissed. Many Zambians, for instance, did not know much about Lloyd Kaziya, the Matero MP who was sacked as Minister of Water Development, reportedly for suspected links to the opposition National Democratic Congress (NDC). The ministry he headed is entirely pointless and was created by Lungu to reward supporters with jobs. It would have been better if Lungu had cancelled it completely or reduced it to a department under the Ministry of Energy. The transfer of Kampamba Mulenga to the Ministry of Fisheries and Livestock, one of the most critical ministries in Zambia, suggests that Lungu attaches no importance to it because the new minister brings neither qualifications nor competence to it, and must have been received with dismay by livestock farmers. The appointment of Richard Musukwa as Minister of Mines and Minerals Development, coming a few weeks after the appointment of two other Copperbelt-based MPs to ministerial positions, reflects Lungu’s desperate attempt to counter the growing influence of the opposition NDC on the politically important Copperbelt Province. All in all, Lungu’s reshuffle was a lost opportunity for a clean-up and has no greater or constructive impact on Zambia. Its purpose was to enable Lungu to consolidate his position, tighten his grip on power and stamp his authority on government. Sishuwa Sishuwa is the last Zambian nationalist. He is obsessed with all things Zambian, particularly politics and history which he teaches when UNZA is not closed. Previous articleTo write or not to write – should this be my last Nation column ever?